Barbados is a beautiful island on the eastern tip of the Caribbean. Its most famous asset is, of course, its white-sand beaches and azure sea, both of which combine to produce some of the most beautiful sunsets in the world. Those looking to simply relax by the beach tend to prefer the Caribbean side, which is located in the south and west of the island and offers calm, warm, light-blue water. Those looking to surf or windsurf, though, will prefer the waves of the Atlantic waters on the east side. Nightlife and dancing lovers, meanwhile, would be wise to stay near all the action on the Saint Lawrence Gap, which offers a wide variety of local performances such as the famously colourful Tuk band, known to wow audiences with their skills on the bass drum, kettle drum, and pennywhistle. Our wide selection of Barbados luxury vacation rentals may help make your stay complete, but, no matter where you stay, you will enjoy access to pristine beachfronts, world-class golf courses, duty-free shopping, and a wide range of entertainment options. 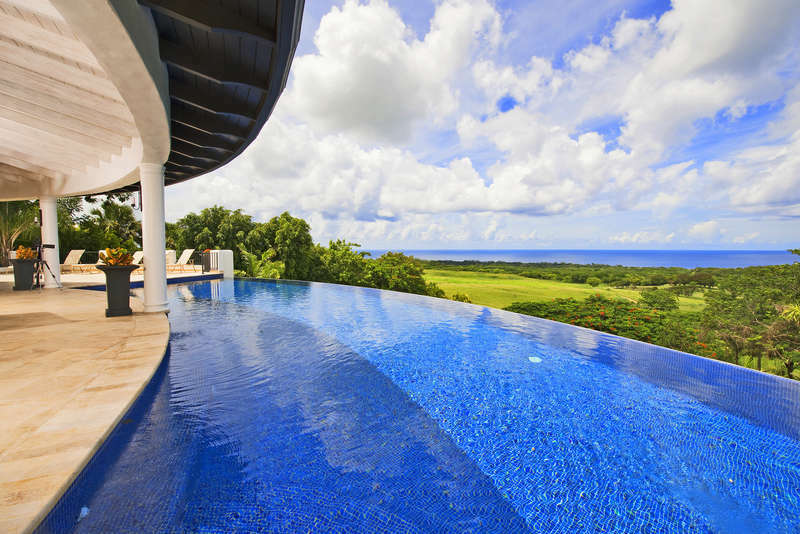 View our Rental Escapes luxury villa rentals in St. James for an incredible variety of all of the above. Barbados beaches offer visitors awe-inspiring scenes throughout almost the entire island. Indeed, the coastline seems to go on endlessly, on a mission to grant every new explorer's wish. But the popular luxury destination is also home to a wide variety of other entertaining and relaxing sights and activities unique to the region. Visitors come from near and far to witness the magic of the island’s limestone cave formations and wildlife reserves, while others enjoy the sights and sounds of live local performances from a bar or restaurant somewhere along the endless shore. Some, of course, prefer revelling in the moonlit ocean views as seen from the balconies of their private luxury villa rentals. Barbados offers every guest a sun-filled, memorable chance to choose the sort of vacation they prefer. Try a gorgeous luxury villa rental in the St. Lucy parish to be close to the highly sought out Animal Flower Cave. A mixture of African, Indian, Irish, Creole, and British influences, Barbadian cuisine is anything but bland. If you’re a lover of tropical flavour, you’ll love the abundance of fresh-caught and fried fish available in street stalls, at weekly community fish fries, and in luxury restaurants alike. The national dish is Cou-Cou (cornmeal and okra) and flying fish topped with spicy gravy. Simple yet deliciously spiced dishes like rice and pigeon peas, salt bread, the classically Caribbean roti, breadfruit, and beef stew, are energizing and readily available almost anywhere on the island. Rum lovers are in for a treat too, since high-quality dark rum from the famous Mount Gay distillery (est. 1703) runs freely. To be close to the delicious community fish fries and hub of entertainment in Oistins, select from our luxury villa rentals in Christ Church. Barbados traditions are drawn from the West African and British traditions that shaped the island historically. The majority of locals are of African descent, yet because Barbados was a British colony for over three centuries, English politeness and civility are very present in contemporary culture, which explains the sense of peace locals and tourists alike experience on the island. The architectural tradition of Barbados also tips a hat to African and British influences. Colonial buildings, many of which remain today, are mostly constructed in the Victorian, Georgian, and Jacobean styles. Barbados' capital city of Bridgetown and its Garrison is a UNESCO World Heritage Site, and many such buildings are located within the history-rich hub. If you would like to stay at the centre of it all, view our incredible selection of luxury villa rentals in St. Michael. Though the dry season runs from April to November, it should be noted that Barbados' wet season is considerably milder than that of other Caribbean islands, as it is located outside of the Atlantic Hurricane Belt. As such, it is an especially popular island for off-season travel to the Caribbean, especially since one of its largest events, the traditional harvest festival known as Crop Over, is held in July and August. Of course, if you're looking to escape the frigid winter, Barbados makes an excellent choice as well, though booking your vacation rental in advance is recommended if you're looking to go during the holidays. Barbados vacation rentals are available in nearly every price range, which is a big shock to those who think that only sprawling, 5-star villas can be found. 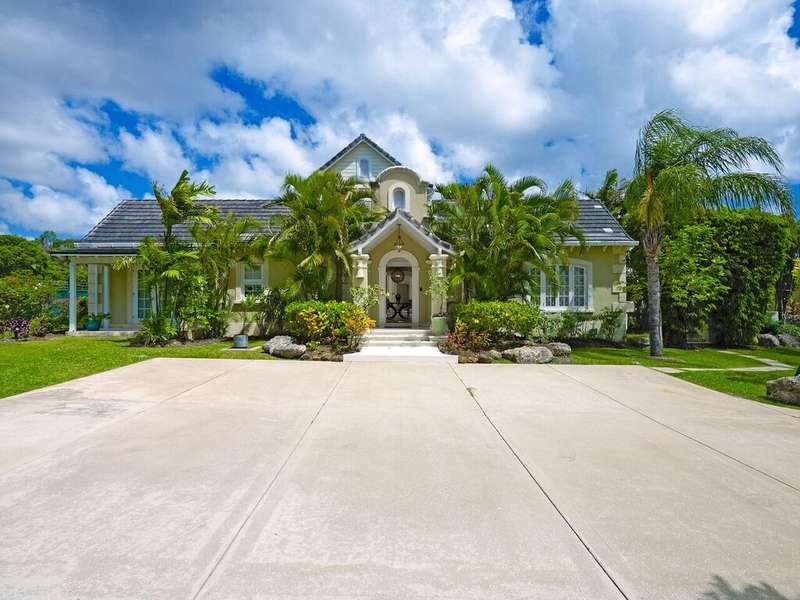 Of course, Barbados luxury rentals are certainly not difficult to find if that's what you're looking for, and they can often be staffed at a reasonable rate. However, there is also a wide variety of smaller, beachfront apartments and townhomes available for rent at very affordable rates, as well as free-standing homes further inland, competitively priced too. 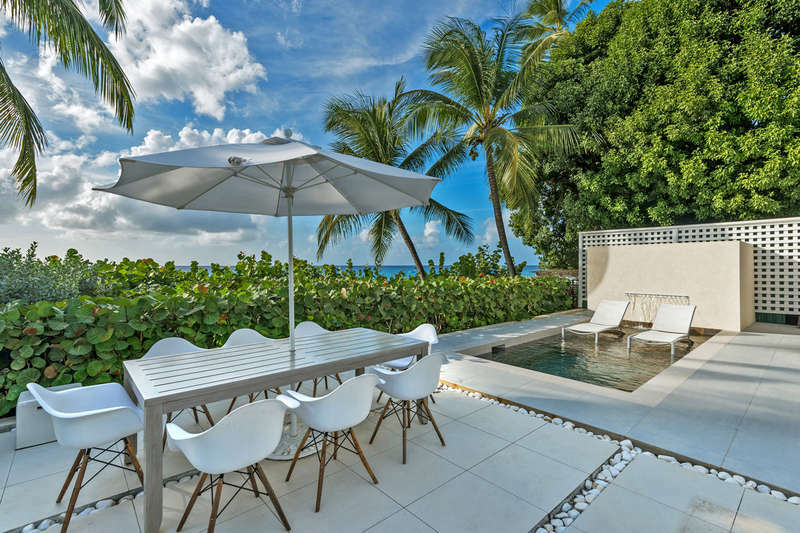 In order to offer travellers the very best experience possible, our luxury villas in Barbados combine deluxe living with maximum ease as far as our booking process goes. Our villa experts have a vast breadth of knowledge at their disposal to better assist you with planning the best vacation for your needs, and arranging a villa rental with the ideal location, services, and atmosphere. Allow Rental Escapes to sweep you up and away to the idyllic Caribbean vacation haven of Barbados and its carefree way of life. There is a holiday waiting to soothe you with its warm breeze, tropical rhythms, and indulgent living. Barbadian Dollar, though US Dollars are widely accepted. Some restaurants add a service charge to the bill, in which case a tip is not required and is entirely at the customer’s discretion. If this charge is not added, a tip of 10%-17.5% is customary. Housekeepers tend to be tipped $2-$5 per bedroom per day, while baggage handlers are tipped $1-$2 ber bag. Topping for taxi drivers, bus drivers, and private drivers varies and is usually based on the service received, though a tip is not necessarily expected for each trip. For fully-staffed villas, tipping varied from 5%-10% of the total villa rate, though it is best to ask your reservation agent beforehand for the exact rate.